Jack plates (Bob’s Machine Shop). Sea Star hydraulic steering system with tilt. Bilge fume extraction blower system. New Raymarine electronics around 1 year ago, and with only around 600 Hrs on the engines she comes complete with an Airberth. 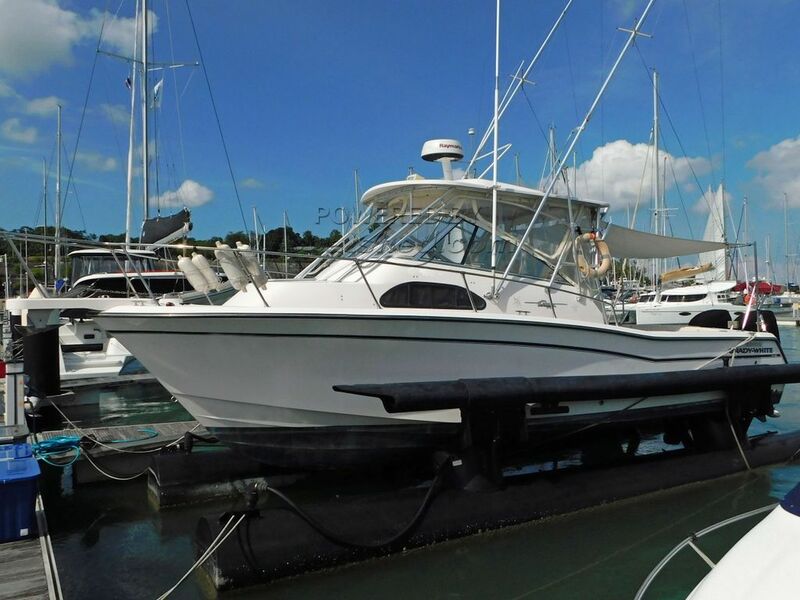 This Grady White 300 Marlin has been personally photographed and viewed by Alan of Boatshed Phuket. Click here for contact details.